According to the Bureau of Labor Statistics, “employment of registered nurses is expected to grow by 22 percent from 2008 to 2018,” a figure that is largely at odds with the current number and capacity of nursing programs at traditional universities. Interest in nursing today continues to grow among students, but traditional colleges are unable to accommodate the trend, lacking a pool of resources large enough to support them. And though most universities have acknowledged that there is a great opportunity in the enormous number of prospective nursing students looking to enroll in bachelors programs, the complex quagmire of educational bureaucracy can’t adapt fast enough to meet student need and market demand. But for-profit institutions like University of Phoenix and South University (based in Savannah, GA) are changing the nursing education game, much to the benefits of potential nursing students everywhere. Before 2004, there were very few, if any, for-profit institutions that offered programs in nursing. The reasons for this are numerous, but the shortage of for-profit nursing programs can mostly be attributed to the extremely high cost of nursing equipment, the requisite small faculty-student ratio, and the lengthy, complicated process of gaining accreditation. 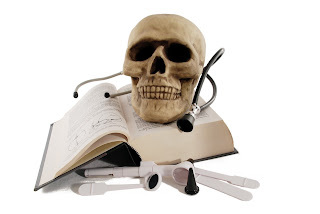 Nursing programs are strictly regulated by government standards, and until recently many for-profit institutions have been met with prejudice and doubt about the quality of their programs, an unfortunate bias that kept many proprietary colleges from approaching the nursing field. The shortage of nursing programs, however, along with the overwhelming number of applicants to these programs has spurred the regulatory agencies that supervise nursing programs to reexamine the legitimacy and viability of for-profit institutions as a solution to the widening gap between job openings for nurses and the number of qualified applicants. With over 500,000 job openings in the nursing field between now and 2018, prospective nursing students would do well to investigate proprietary colleges, such as South University and University of Phoenix, to complete their degrees. The stigma that once hung over these programs is lifting, and for-profit schools are all the time becoming a more sensible and practical alternative to traditional programs, even in the expensive, highly regulated nursing field.